Woodfibre LNG Limited (Proponent) proposes to develop and operate a liquefied natural gas (LNG) production facility and floating LNG storage at the former Woodfibre Pulp and Paper Mill site near Squamish, B.C. The Woodfibre LNG Project (Project) comprises construction and operation of a gas processing and liquefaction facility with export infrastructure and LNG production capacity of approximately 2.1 million metric tonnes per year, and storage capacity of 250,000 m3. The proposed Project is subject to review under British Columbia’s Environmental Assessment Act and the Canadian Environmental Assessment Act. The Proponent has now submitted its application (Application) to obtain an Environmental Assessment Certificate. 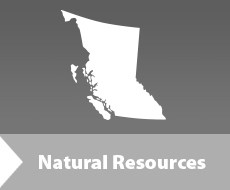 The Environmental Assessment Office of British Columbia (EAO) invited public comments on the Application from January 22, 2015 to March 23, 2015. Comments were accepted online, by mail, or fax. Additionally, the EAO held a series of information sessions about the Application. The intention of seeking public comments is to ensure that all potential effects —environmental, social, heritage and health — that might result from the proposed Project are identified for consideration as part of the assessment process.